2250111 Pinch-R-Release: Spring action clip opens quickly and easily with finger pressure. The deeper the line is set back in the pads, the greater the tension. Tension settings from 2 to 12 lbs. 2250105 Universal Stacker Release: Two adjustment points allow tension settings from 2 to 22 lbs. Perfect for slow trolling with live baits or going after light-hitting walleyes. 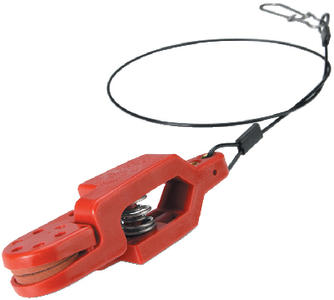 Offers easy one-hand tension release for use on any test line in salt or freshwater. 2250107 Offshore Stacker Release: Quick and easy to set even on turbulent waters. It won’t damage your line by twisting, winding or looping. Spring loaded “clothespin” design allows for all types of fishing. 2250109 Offshore Saltwater Line Release: Corrosion-resistant, high-tension spring is designed for heavier saltwater lines. Troll at high speeds in deep water with its heavy-duty release. 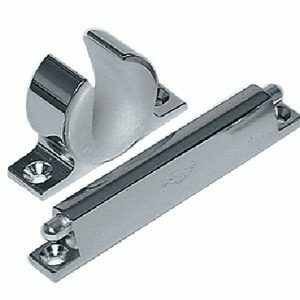 Anti-fouling pins prevent line from sagging behind the gripper pads. Stacker Releases: All the characteristics of the standard releases, with an extra stacker clip to allow fishing at multiple depths off a single weigth.